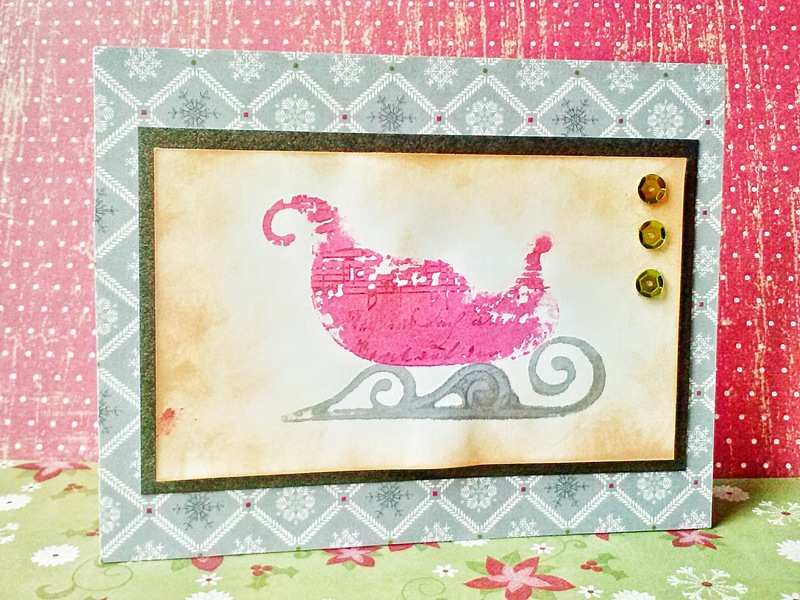 I thought I’d do something different and just show you my card and then tell you about it! I distressed the edges with Tea Dye Distress Ink and matted that image on a piece of Pearlized cardstock from The Paper Studio and then adhered that to the card base with the Echo Park ’tis the Season patterned paper on it. Three Doodlebug Design sequins finish off the front. Thanks for visiting! Did you create any projects for Christmas in July! I’d love to hear about them! I’m entering the Simon Says Stamp Wednesday challenge blog Anything Goes challenge.